The Ardha Chandrasana or the half moon pose pronounced as (are-dah chan-DRAHS-anna) is a yoga asana that holds great importance. This yoga asana considers the energy of moon in great symbolism. The sun and moon are two energies of opposite nature in the human anatomy. The significance of this asana is to channelise the moon energy or the lunar energy within the body. This asana gets its name from the Sanskrit language and is combination of three words, the word “ardha” means half, the word “chandra” means moon and the word “asana” means yoga posture. This posture is considered to very graceful and it helps in activating the opposing sides in the human body of a person. In the way the moon is considered to be the perfect balance between the sun and the moon, this yogasana is responsible for balancing the body while laterally extending the torso and the leg. There are many benefits of the Ardha chandrasana. It is responsible for strengthening the body of a person and correct its alignment. 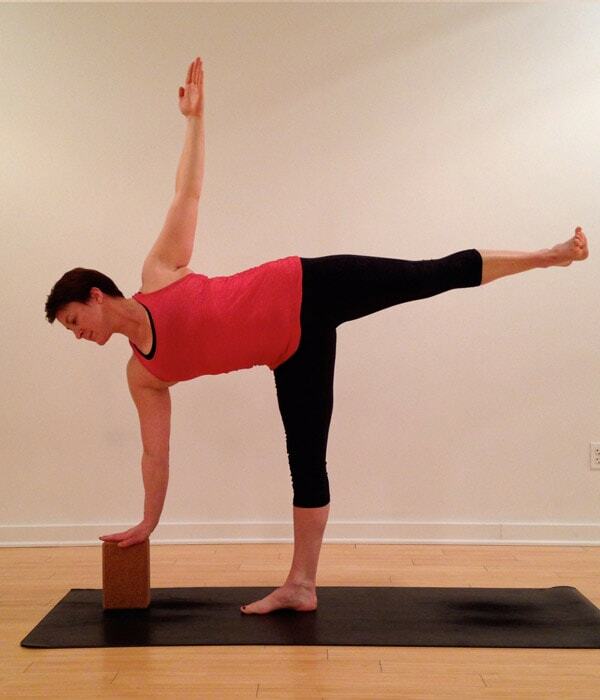 Begin this yoga posture by standing straight in the Tadasana or the mountain pose. Place your feet apart from each other while keeping them in a parallel position to the outer edges. Inhale deeply and extend both of your arms in the outward direction parallel to the floor. Now turn your left foot inwards and your right foot in the outward direction in a right angle. See to it that your right foot and knee are in a straight direction and the front side of your heel is straight in line with center of your back. Gently place your left hand on your left buttock. Exhale deeply and bend your right knee while reaching for your right hand fingertips almost nine to ten inches in the front direction of your toe. Inhale and press your right foot on the floor while straightening your right leg. 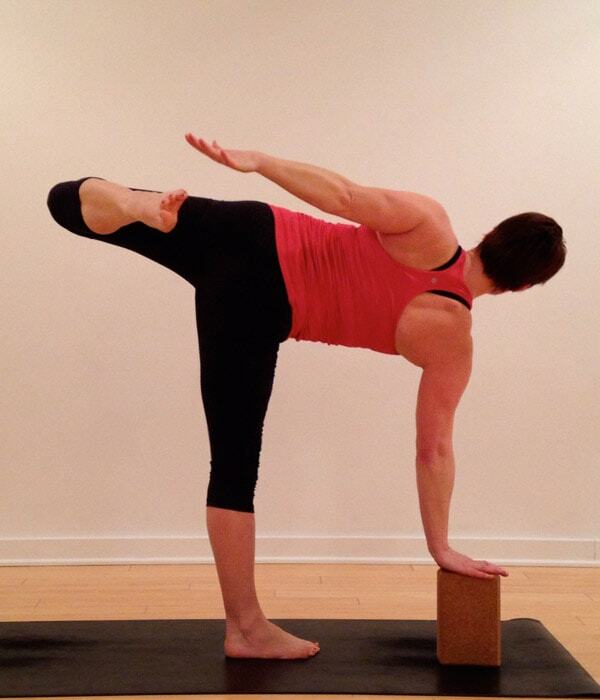 Now lift the right leg while balancing your right foot. Spread the left toes and externally rotate your left buttock and rib-cage in the direction of the sky. Your right fingertips should be placed under your shoulder while you extend your left arm above your left shoulder. While inhaling, press the leg which is standing. To come back to rest, lower your left foot on the mat behind your right foot coming into the Triangle pose. Inhale deeply and press down your feet while you rise to stand. Place your hands on your hips, straighten your right leg and turn the leg inwards while keeping the feet parallel. Turn your left leg outwards now and repeat the same steps again. This yoga posture helps in improving balance of the body and increases awareness. The person becomes aware of their body. It strengthens the hamstrings, thighs and the ankles. Keeps the thighbones strong while helping to get rid of back pain. This asana strengthens buttocks, spine and the abdominal muscles. The process of digestion gets improved to a great extent with the help of this asana. Balance and coordination get improved to a great extent with the regular practice of this asana. There are some things to be kept in mind while practicing this asana. You must take these precautions before you start practicing the Ardha Chandrasana. People who have neck problems should not keep looking straight and they should remember to keep their neck long. If someone have any problems like insomnia, low blood pressure, migraine, cervical then it not advisable for them to practice this asana. It is best to practice this yoga asana on an empty stomach. You should see to it that you eat at-least four to six hours earlier than you actually practice this asana. When the food is digested in the right manner then the energy of the human body gets expanded.